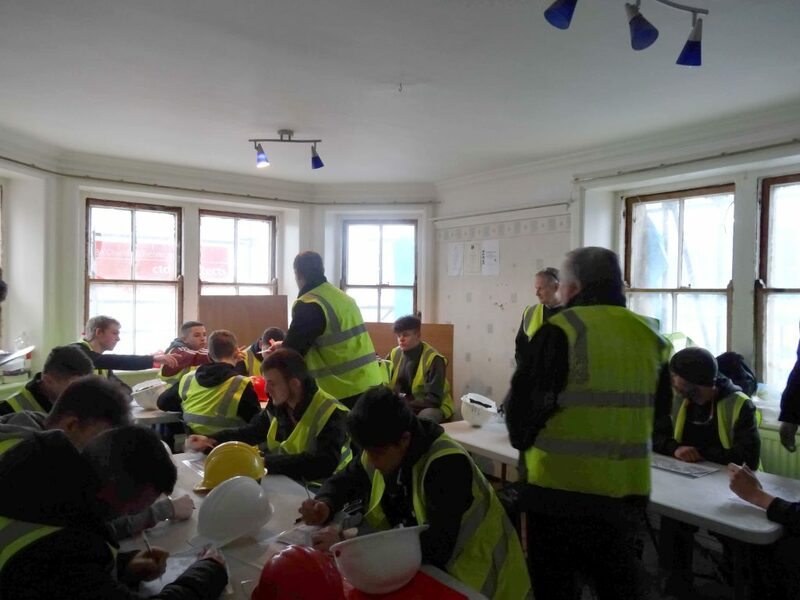 Last week, students from the Rhos-on-Sea site of Llandrillo College had the opportunity to visit The Station to have a look around. 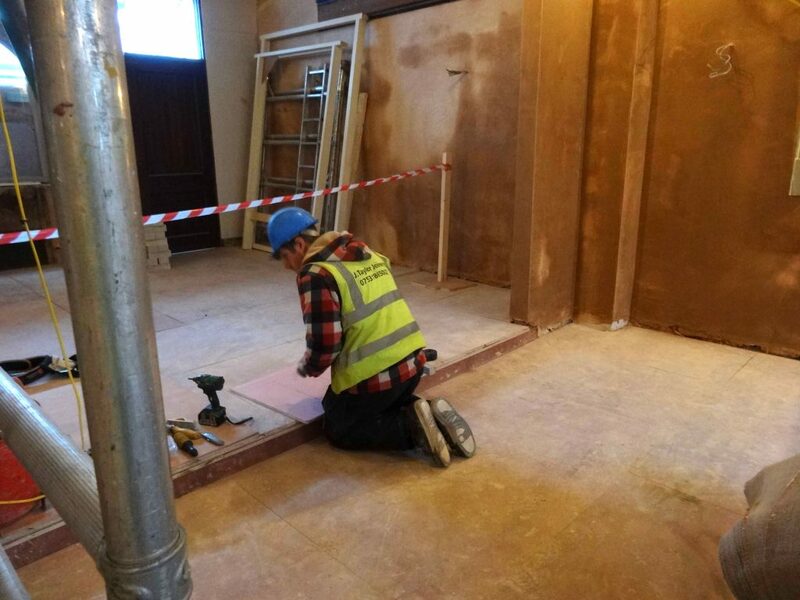 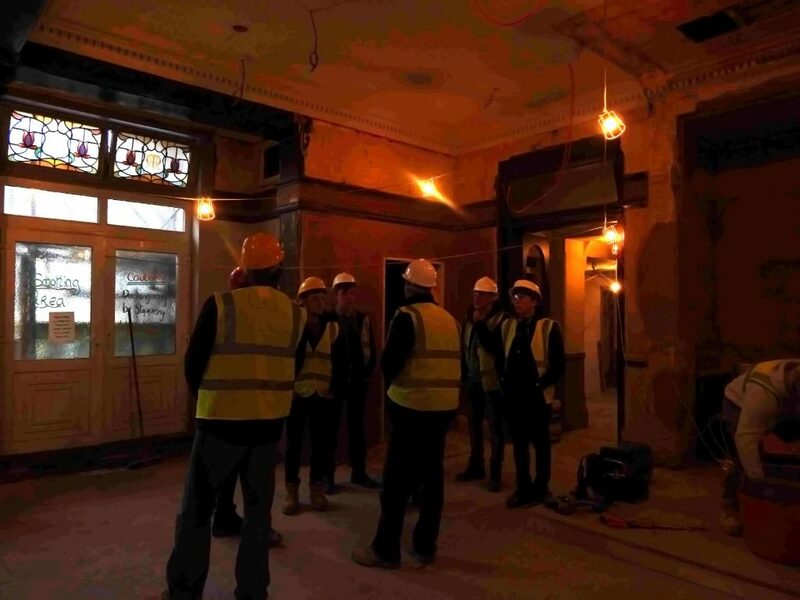 This was a great opportunity for the construction students to see a working heritage construction site, where modern techniques are used alongside traditional techniques sensitive to the historic materials being repaired or restored. 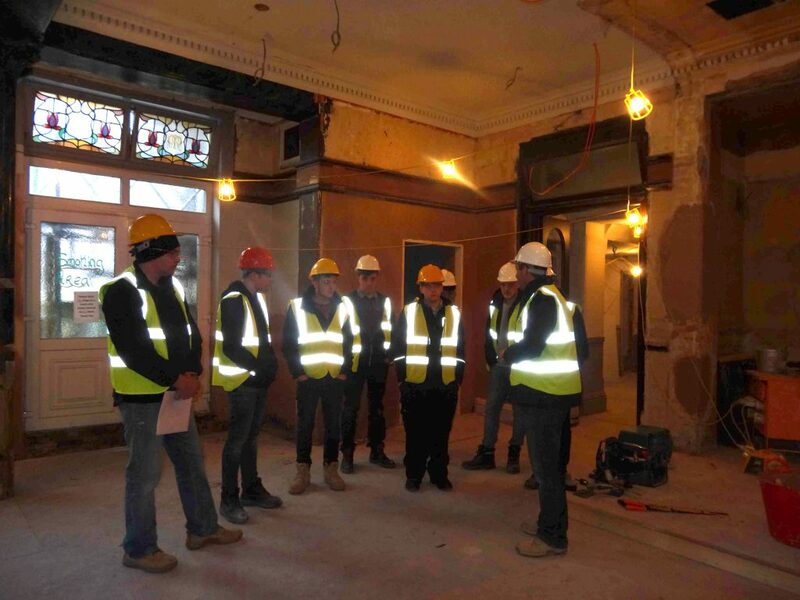 The students were shown around by the site manager, watched different types of work being undertaken and had the opportunity to ask questions to gain even more knowledge.